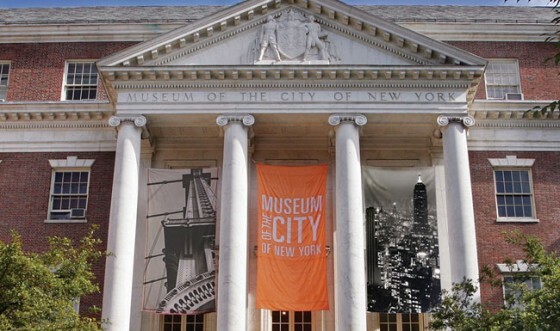 Since it first opened its doors to the public in 1923, The Museum of the City of New York has embraced the past, present, and future of the Big Apple, celebrating the city’s cultural diversity. 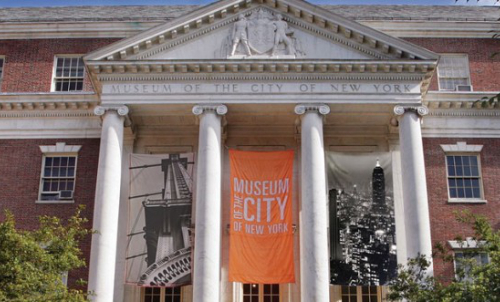 In 1932, the museum moved to its current location at 1220 Fifth Avenue, a building with stately columns and a towering slate roof. Over 50 years later, in the 1980s, the legacy had continued but the roof was sagging seriously under the burden and a new slate roof was installed. 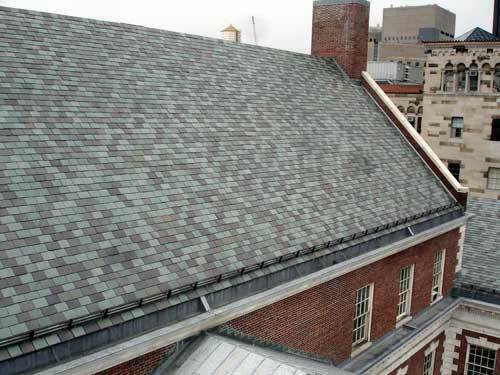 But unlike the Museum itself, this new slate roofing did not weather the years well at all. The surface expanded and contracted due to changing weather conditions, the quality of the slate was poor and widespread delamination began rapidly, slates dropping with regularity. 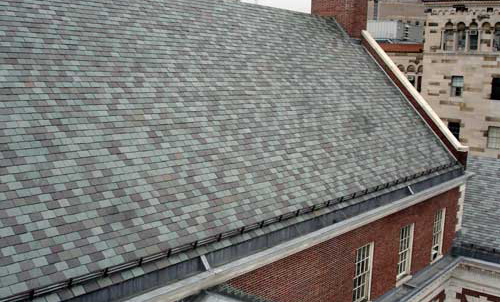 In 2003, a replacement slate roof for the Museum was detailed by Lee Harris Pomeroy Architects, one designed to endure the test of time. After referring to original specifications and historic photographs of the building, plans proceeded to develop a historically appropriate response to the roof’s rehabilitation. The blueprints called for 14,000 square feet of multi-colored slates, arranged to hearken back to the original 1932 design. 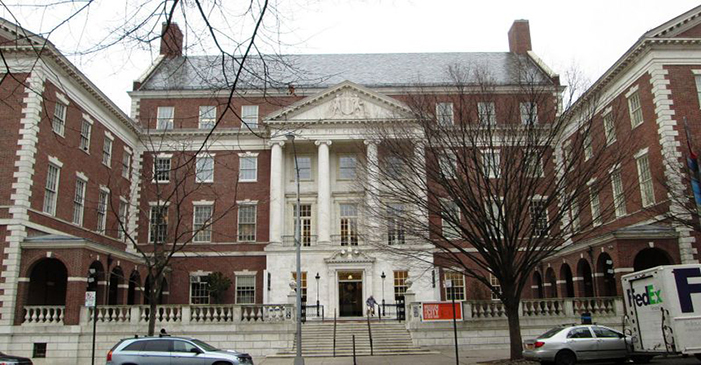 Supporting information was assembled and submitted to the New York City Landmarks Preservation Commission, where it was quickly approved. The wood deck was replaced and the entire surface was protected with water shield, to prevent a repeat of earlier problems. North Country slates were installed using a blend of three colors, in a total of fifteen different combinations. North Country Slate supplied 170 squares of 18” x random width (North Country Unfading Green, North Country Mottled Purple and North Country Semi-Weathering Green). Each piece of slate was “ring” tested to ensure the soundness of the slate. 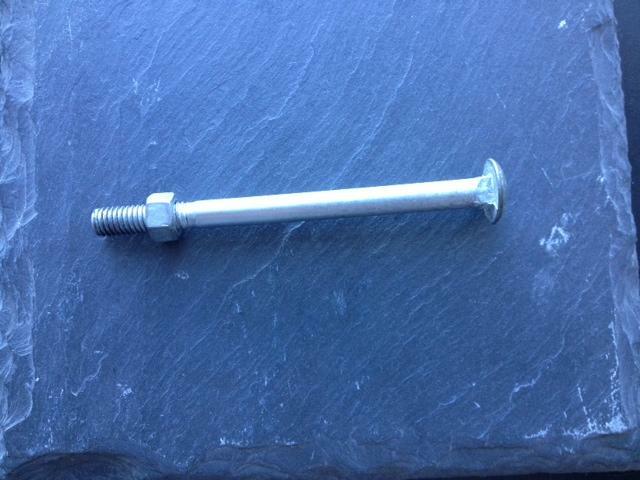 After hours of holding each piece of slate horizontally and tapping the back of the slate with a knuckle, a 5” carriage bolt was brought in to save the swollen knuckles. When tapping slate you should hear a clear ring. 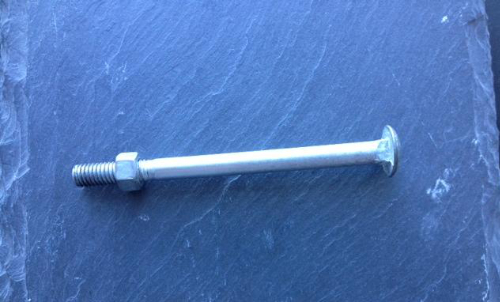 A dull thud sound indicates a poor quality stone. If you hear a rattling sound, this means the slate is cracked.